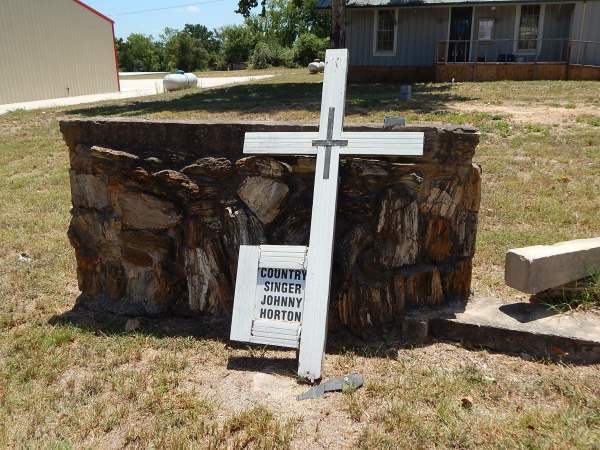 I am trying to locate the memorial to Johnny Horton. 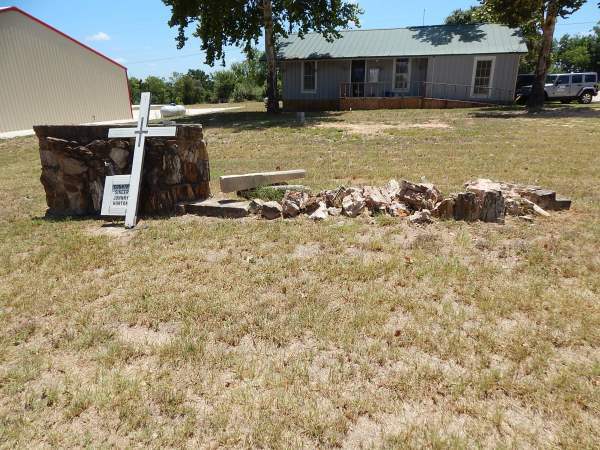 I have traveled south on hwy 36 and turned east on 79 several times in going to Hearne, but can't seem to find the memorial. Can you help in this matter? Mr. Townsend, In response to your inquiry, I telephoned Mr. Billy Barnett, Mayor of Milano and board of directors member of the organization Johnny Horton Memorial, Inc.. Mayor Barnett said that one fundraiser for the Johnny Horton Memorial was held November 5th, 2010. Limited funds were raised at that time and there appeared to be a lack of interest in the project. Mayor Barnett said that he and the board would still like to see the project regenerated. Mayor Barnett stated that Mr. Steve Raby of Taylor, has funded a smaller marker which is located beside the fire station on Hwy 36. When I Google Earth'ed the 305 East Ave. C location, and then attempted to Street View, I was unable to view the marker. I emailed Fire Chief Jesse Love in hopes that he would confirm that the marker is still in place so that it might be viewed by you. I'll advise when I hear from him. A sincere "Thank you" to Mayor Barnett for all of his assistance in answering this inquiry. Mr. Townsend, I spoke with Ms. Carolyn Vinton today regarding your inquiry. She is a member of the board of directors of the organization 'Johnny Horton Memorial, Inc.'. She stated that the board was hoping to have another fundraiser this November, with the funds going to the future memorial. They are struggling to find a way to network with someone, or group, in the Country/ Western Music industry. She was also kind enough to give exact directions to the temporary memorial. 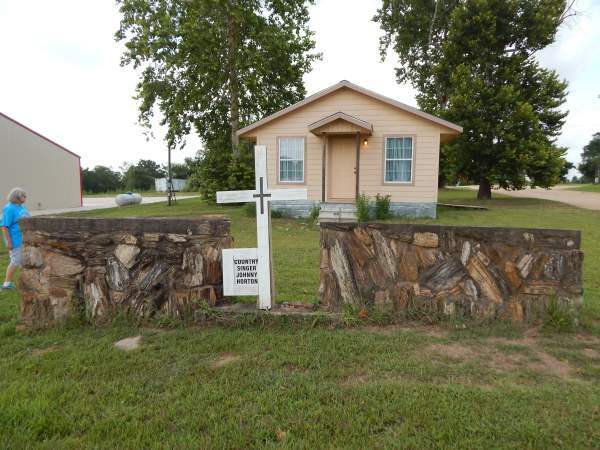 It is located about 100 feet west of the fire station in front of a very small home/ building. See attachments # 1 and 2. This Memorial location is about 500' east of the old steel bridge where the automobile collisions occurred. The new (1980's) concrete bridge is considerably wider and longer that the earlier bridge. It therefore forced the memorial to a safe location away from the bridge and adjacent roadway path. Thanks go to Mr. Billy Barnett and Ms. Carolyn Vinton for assisting in answering this inquiry. Beth and I happened to pass through Milano on our way to look at 3 vandalized Texas Centennial markers(Port Sullivan, Steamboat Washington and San Andres). 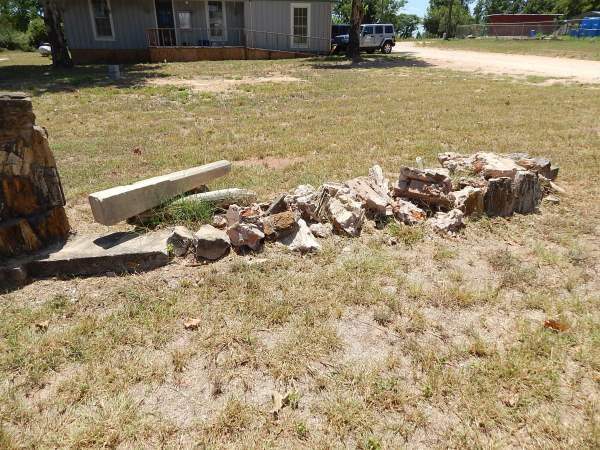 When I glanced over to look at the Horton Memorial as I was driving by, it and the adjacent stone/petrified wood wall, stop sign and street sign had been previously run over by a motor vehicle. Since this happened recently, the stop sign had been replaced but not the street sign. When I questioned a lady in the office on the property, she stated that the individual fled the scene. The vehicle had to have sustained seriously damaged after taking out a rock wall. There was no mention of plans to repair the conservative memorial. 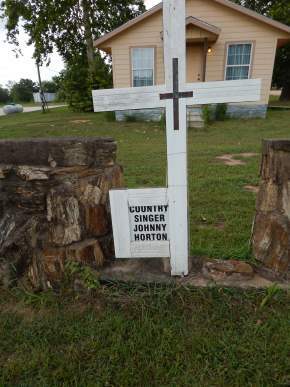 Possibly the Johnny Horton Memorial also was the victim of another drunk.